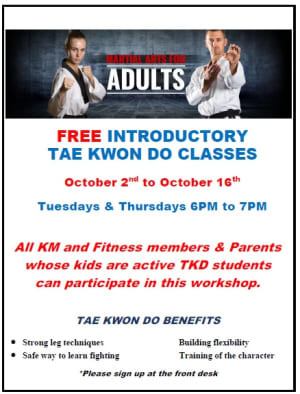 Our Introductory Taekwondo program for adults starts this Tuesday at 6PM. The adult workshop will feature a great work out as well as practical self-defense techniques. Don't miss it!